As people who live in a place where the summers are really hot, it makes sense that we would consider building an outdoor kitchen to help us through those scorching days. Bonus if it’s close to the swimming pool. Nowadays, with the like of Pinterest and Instagram, everyone is wanting to add something here or there. Well, we say an outdoor kitchen is definitely something to consider, especially since it will add to the value of your property. Your kids will love spending time with you outside, you can cook and still have a chat with them while they’re swimming. When you’ve decided on the fact that you want an outdoor kitchen you will then have to pick what will be the base of it. If you’ve seen marble, you’ve probably loved it as much as the next person, but the majority of the time we’ve all seen it as countertops in someone else’s home. Marble is beautiful and there are so many different types of patterns to choose from, so you’ll definitely find something that will appeal to you and suit your outdoor area. When tiling your outdoor kitchen you’ll have to decide on the size tile you will be using. Do you need bigger tiles because it will give you the look you want, or are smaller tiles something to consider instead? There are a lot of option to choose from so if you’re unsure you can always talk to a professional. You will be stuck on this decision for a while because there are beautiful colours and patterns to choose from. From dark to light, more translucent looking and even plainer options. Different colour and patterns will give off different feeling and vibes. So questions you can ask yourself are if you want a more subdued style, laidback, clean and crisp or even a bit eccentric. Weather conditions can cause make your tiles look dull, stained, dirty and grimy so you’ll need the right tools to keep them looking beautiful. A natural stone cleaner will work perfectly for any dirt and grime that have built upon the tiles. Baking soda and water that has been mixed into a paste work well on stains, just scrub the stained area. until the stain bubbles away. If the tiles are just dusty you can use a damp mop to wipe them down. 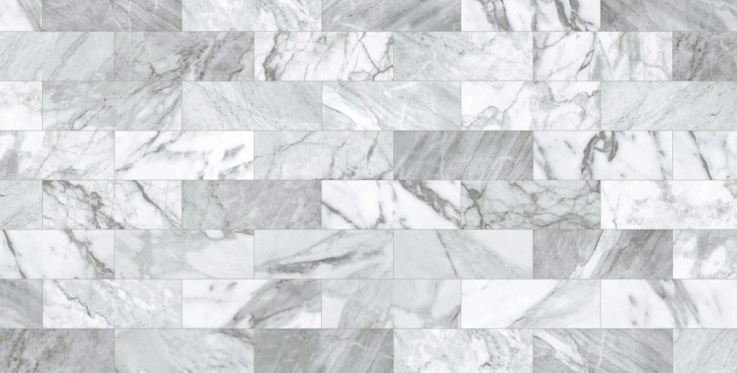 The best part of the marble tiles is that it doesn’t just have to be the floors, you can also opt to have the counters done in a complimentary tile pattern and colour as well. Sometimes taking that tile from the floor all the way through to the countertop will give your outdoor kitchen a very chic and minimalist look without overdoing it on the patterns and colour. An outdoor kitchen is a great way to bring the entire family together, especially when it is summer holiday and everyone is home or visiting from afar. No-one has to be inside cooking while everyone else is enjoying the outdoors. Now the whole family can share in the fun and spend quality time together. There are so many elements you can add to your outdoor kitchen, the tiles are just the bare bones that will bring it to life. A fridge, wood-fire stove, coffee maker, sink and beautiful cabinets are all things to consider when having it built. The only limit is your imagination and your outdoor marble tiles will make it look classy and modern.